Technology, Innovation, Enterprise; Economic opportunity arises when the buildings blocks of community life - adequate water supplies, accessible energy services, functional housing, and telecommunications infrastructure - are available, reliable and affordable. CfAT Ltd knows remote Australia and its requirement for tailored approaches enabling us to deliver technical reliability and build local capacity to unlock economic opportunity for Aboriginal and Torres Strait Islander peoples. Offering training in a broad range of skills and knowledge to maintain community infrastructure and build on economic opportunities where access to goods and services is limited. 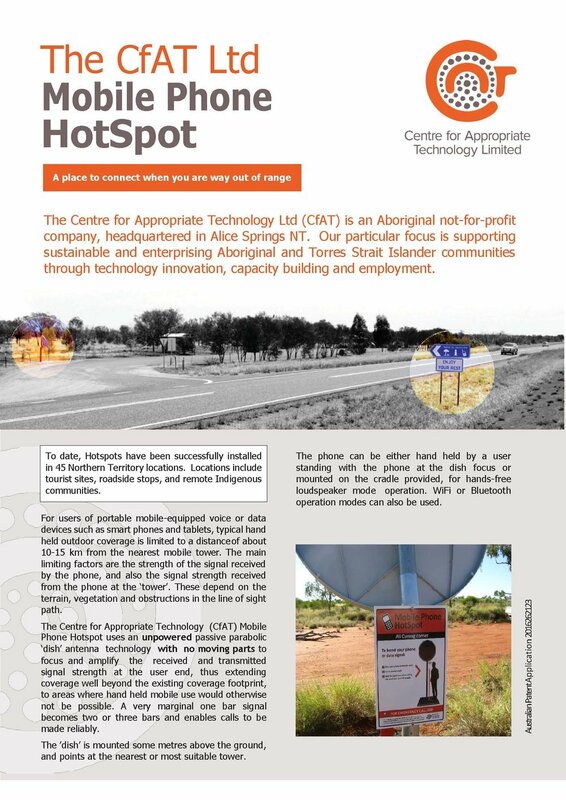 The CfAT Ltd mobile phone hotspot appropriate technology platform - a 'one user at a time' facility to extend mobile coverage in fringe areas with poor mobile coverage. 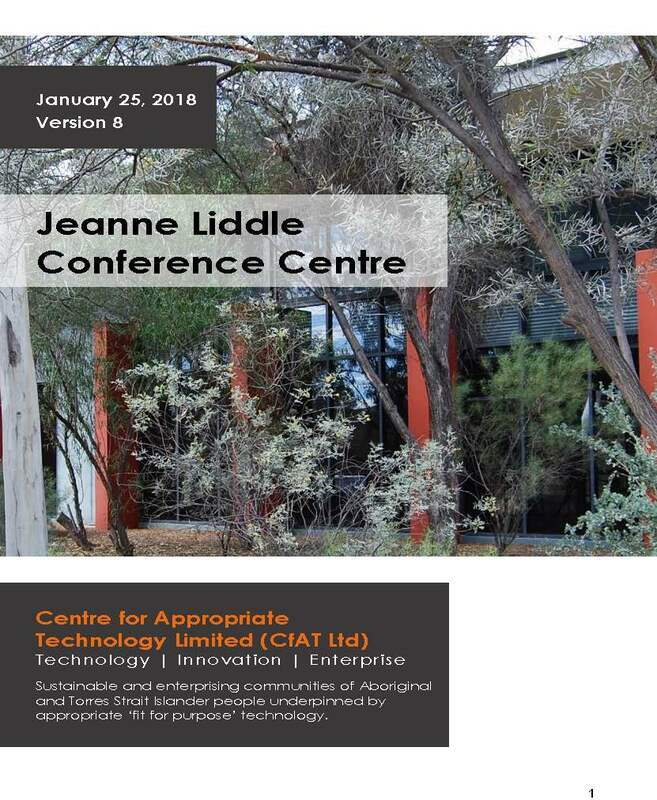 The CfAT Ltd enterprise workshop established in 2013 to provide enterprise based employment and skills development opportunities for people from Central Australia. We recognise that access to reliable and affordable power is critical for health, wellbeing and economic development in remote communities. Community engagement, stakeholder engagement, participatory processes, planning and education for sustainable living and healthy country. Advisory, design engineering and project implementation services. Established in 2007 by CfAT Ltd to service remote internation and national markets.